Calf Fry After Party, No... John David Kent Leads a Musical Revival! Stillwater OK: Tumbleweed Dancehall's 2012 Calf Fry ended Saturday night after another successful 3 day run. Immediately following Gary Allan's closing set outside, John David Kent and his band The Dumb Angels took the stage inside for the after party. It seems rather fitting now, that they took the stage at 12:00 AM, midnight, early Sunday morning to be precise. Because the events that transpired were much more than a simple after party concert. I watched John David Kent and his Angels, take this crowd by the hand, and lead them down a path of musical righteousness. As I watched John pour out his soul through his songs to the crowd that night, I was inspired by what I saw. There was more soul and heart coming off of that stage than I had seen in many a Sunday service. John was sending out his musical message, the stage was his pulpit, the crowd his willing congregation, and we were all bearing witness. His energy level was so much that sweat poured off of him. The man was soaked to the core. It was as if he had been baptized in the waters of the River of Rock & Roll itself. I had seen John and his band 4 times before that night, but only as openers for more well known bands. This was something quite different. This was his time. This was his crowd. That night John David Kent showed why he is the real deal in Texas music. His music is great. Not just the sound, but the lyrics. He gets it. He is a lover of music, and that shows in what he does. He has a great group of guys behind him. A group that has only been together in it's current formation for a couple of months. And in that time, these guys have come together to perfect the music, create the sound, that will generate the buzz and excitement that will cement his place in Texas music. Tonight a couple of stories caught my attention that really bring to light a little of the difference in the Texas/ Oklahoma music scene. It is in actuality a small, fairly close knit community with a family feel. That was pretty evident this week in the sudden loss of Rich Caldwell, who was sound engineer for Wade Bowen's crew. Artists and fans from around the scene expressed their sympathies, some went a step farther. Aaron Watson was one of those, he pledged to donate the proceeds from package sales on his website to the family. Proving once again that he is always a class act. Then on Saturday afternoon, those listening to Justin Frazell and his Texas Red Dirt Roads radio show were given a glimpse into the generosity of the fans and artists in the Texas Music scene. I didn't get a chance to listen along, but caught the Twitter feed and was seriously moved by what transpired. It was announced that they would be taking donations and auctioning off a private back yard performance by Larry Joe Taylor, Dave Perez, Deryl Dodd, Jason Eady, Steve Helms, and Clayton Landau. I don't know the final total, but according to Justin's Twitter, the winning bid on the auction was $7500. That speaks volumes about the fans and artists. It shows that people can come together, and lend a hand when someone is in need. This is what makes this music, and the people that make it, and the fans that truly support it something special. If you would like to contribute there is a link below. One other thing, take some time, show the ones you love how much you care about them. Make sure they know today, because it may be your last chance. Before the Gypsy Cafe, I was one of the people who believed that the genre label debate was silly. I am a fan of music. I believe that if music is good, why does it matter what label is put on it? However, after a night of the purest, true Red Dirt music I had ever heard, I left Stillwater with a better understanding of what my friend was trying to say that day. That night, I found myself listening to the songs, hearing the music, and not just sitting there watching a show. It wasn't like anything I had seen before, and I have seen tons of concerts & shows. I actually caught myself mouth agape, dang near drooling a couple times, just caught up in it all. That night I left a little disappointed in myself for having understood so little about true Red Dirt music. 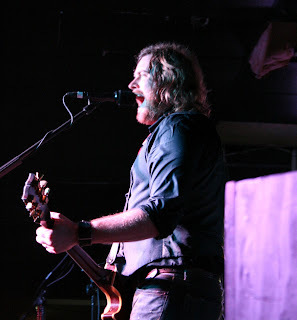 Earlier this week, I got a chance to pick the brain of Steve Rice, lead singer for the band No Justice, Stillwater, OK resident, and a self-confessed Red Dirt music fan, and get his take on the matter. Steve told me, "I think, for the record, that Red Dirt music is not about a genre. 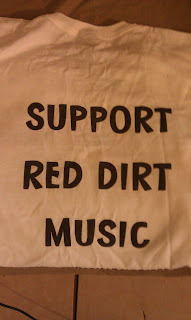 Red Dirt music is about the attitude, environment, musical and lyrical honesty, and connection between fans and bands. It is not something that you see in all genres." He also added "I really don't like to use labels. In the end, it's all just 'music' and good or bad, is determined by the individual critic." He did mention though, that to him, Red Dirt music started years ago out on "The Farm" in Stillwater and didn't really stray too far. So I asked Steve where he would steer people who wanted to know more about the roots and history of Red Dirt music. He said, "I'd tell them to listen to some Bob Childers, Red Dirt Rangers, Great Divide, Jason Boland and The Stragglers, or Ragweed..." Those guys were all around in the early days of Red Dirt music at "The Farm" and remain pretty true to those roots today. I really saw his point after that. In my opinion, if you take a good hard look at most of the music on Texas and Oklahoma radio today, there isn't a lot of it that conveys that original Red Dirt feeling like those bands do. Now please don't get me wrong, I am not bashing, or trash talking here at all. I am a huge fan of the Texas & Oklahoma country music scenes and am a fan of most of the music that "Red Dirt" radio stations play. But the Red Dirt label is different than other genre labels. It shouldn't be a catch all genre or tag for all Texas/Oklahoma based music. Taking all that into consideration, I do agree that a lot of the music that is labeled Red Dirt today might get that label just because it comes from Texas or Oklahoma. And that some of the people that do so, simply may not have a true understanding of what Red Dirt means, or the history behind it. Red Dirt has a different, specific musical history. 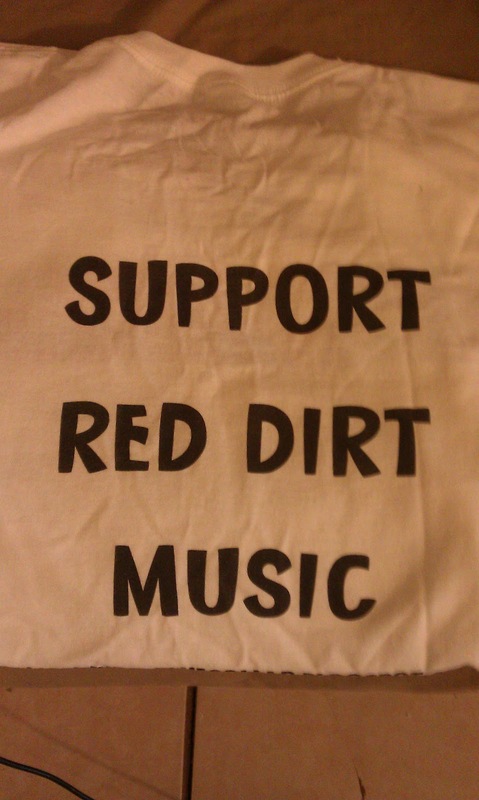 Red Dirt is a way of life. 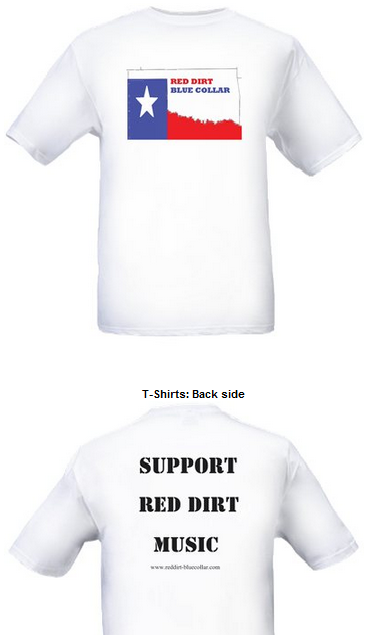 Red Dirt is simple and timeless. If you understand it, Red Dirt touches your soul. I do believe that it is possible to misuse a term or use a label so much that it loses its meaning. As fans, we can't let that happen to Red Dirt. Country music from Oklahoma doesn't have to be tagged Red Dirt. Call the music what it is, Oklahoma country, or Texas country, or alternative country, or Americana... or better yet why label it at all? Why call it anything other than music? Legend has it that Red Dirt music got its start in Northeastern Oklahoma where the soil is, you guessed it, pretty red. There is a storied plot of that red soil just outside of Stillwater, OK known as "The Farm" where Red Dirt music is rumored to have been born. I was lucky enough to be invited up to Stillwater last Friday night and immerse myself in that scene for a night to cover the Red Bull Gypsy Cafe. For those of you that are not familiar with the Red Bull Gypsy Cafe here is a quick run down. It was an event set up to honor the Red Dirt music scene. It brought together 40 of the scenes most talented artists. Some old, some new, all acoustic, in an old fashion song swap style night of performances. As I got to Stillwater that day, I could feel a different atmosphere around me. Maybe it was the weather. The air was thick, there were dark clouds on the horizon, and lightning was flashing in the distance. Whatever it was, something was definitely different about this place. The first performance I saw that night was outside, but not even the threat of severe weather in the area deterred this crowd. Sitting there listening to the stories and songs of legends like Gene Collier, Mike McClure, John Cooper, Brad Piccolo and Stoney Larue was well worth facing down a tornado. Their performances were inspiring and gave me an even deeper respect of the history and roots of the music. As the night went on, there were so many artists and with shows at 4 different venues, I didn't get at all close to seeing them all. But, discovering the music of some of the lesser known artists like Dustin Welch, Jesse Aycock, and Chad Sullins left me with a feeling that the future of Red Dirt was in pretty good hands. If there is any justice in the world those guys will be right where they should be alongside current well known Red Dirt artists like Brandon Jenkins and Steve Rice. If nothing else comes from this write up, I hope that some of you will take some time and discover more about the musicians that created the Red Dirt music sound. Please do yourselves a favor, find some Bob Childers music, check out Tom Skinner, listen to anything from The Red Dirt Rangers, it has more heart, soul, and honesty, than anything on the radio today . Thank you to the people at Red Bull who did an amazing job with this years Gypsy Cafe. And thanks for keeping the soul of Red Dirt music alive. I will soon be doing another feature on little/lesser known bands that are really deserving more attention. The last time I did this it was actually one of the most popular posts I have done so far. I already have a couple of bands in mind, but want to get your opinion too. Who do you know, what band do you love, that most people have never heard of? 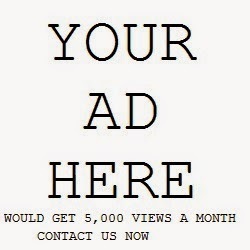 Send me their info, Facebook, twitter, website, whatever. 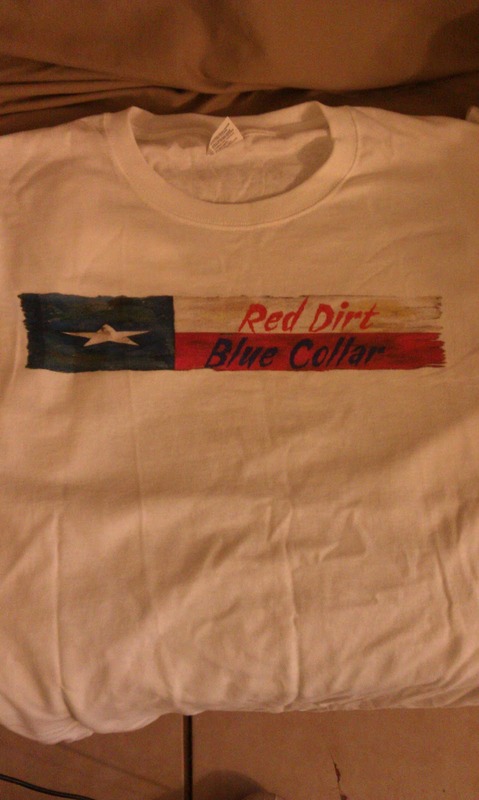 If I use the band you submit I will send you one of the Red Dirt Blue Collar t-shirts. In the wake of Jason Boland & The Stragglers' successful new album Rancho Alto I decided to take a trip back to his early days. 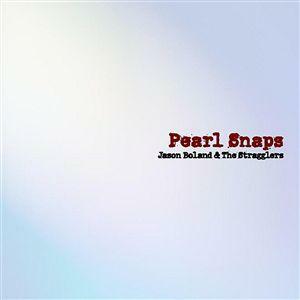 Jason Boland released his debut album Pearl Snaps back in 1999. It has proven to be rather timeless and contained songs that are still a staple of Boland's stage show today. I have seen him live several times and by my count at least 8 of the 11 songs on this album are still part of his show. "Somewhere Down in Texas" is a lost love, dark clouds here but there is a ray of sunshine somewhere track... and my personal my favorite. But, a close second is "Ponies" a dark, Armageddon laced, anthem to those trying to outrun their demons. "Proud Souls" is probably one of the most honest, tragic, and depressing songs lyrically that I have ever heard. It was written by Boland and first recorded by Cross Canadian Ragweed on their album Carney a year prior to the release of Pearl Snaps. Throw in "Telephone Romeo," "Backslider Blues," "Pearl Snaps," and the Oklahoma crowd favorite "If I Ever Get Back to Oklahoma" and you have an album that would still be a hit today. Song after song this album never lets you down. It is a simple, timeless classic that hasn't lost a step in 13 years.